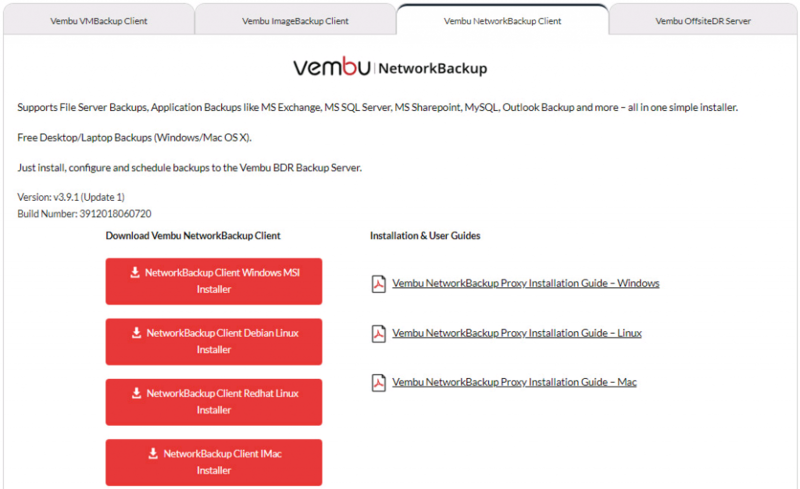 Vembu Network Backup is one of the valuable features of Vembu BDR suite and its role is to perform backup and recovery for individual files and applications on Windows or Linux machines. 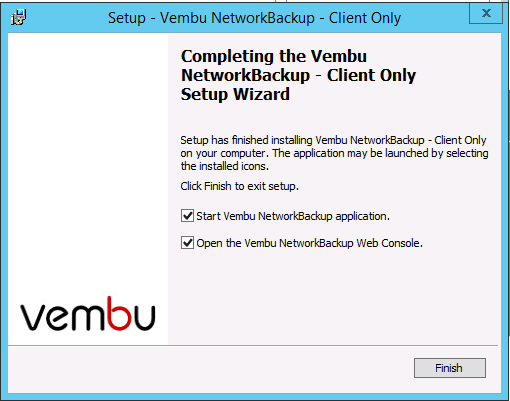 In this post, I will be explaining about Vembu Network Backup features and how to configure backup and restore for MS SQL Application using Vembu BDR Suite v3.9.1 Update1 . 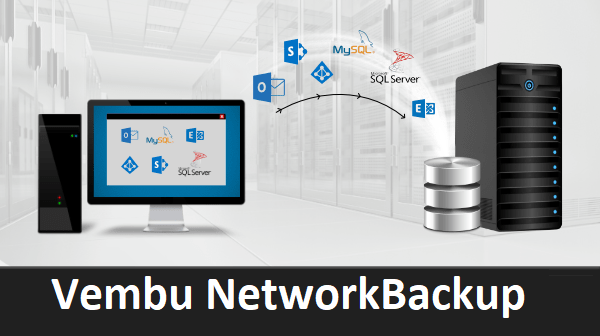 Vembu Network Backup supports backup of MySQL databases tables with Full and incremental mode .Backup can be performed for MySQL databases even when the data is online and is still being accessible by other other applications. 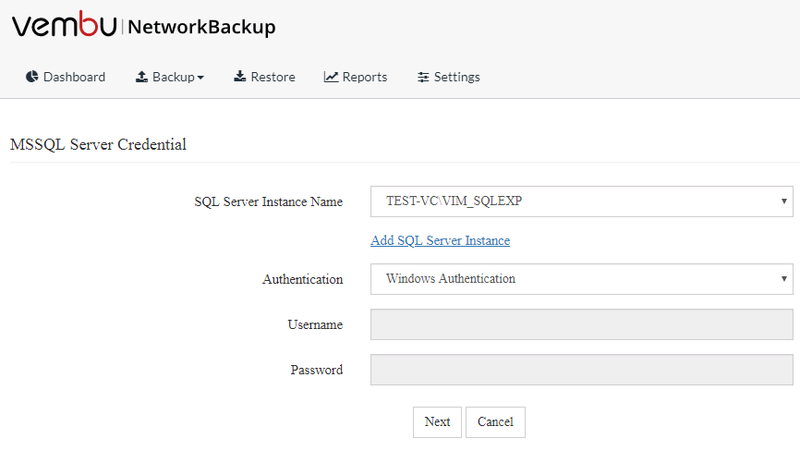 Note:-You can use Windows Authentication or SQL Authentication , also don’t use sa user for configure backup as best practice create and use separate login for Instance or add Windows secured users with required permission ( backup administrator) . 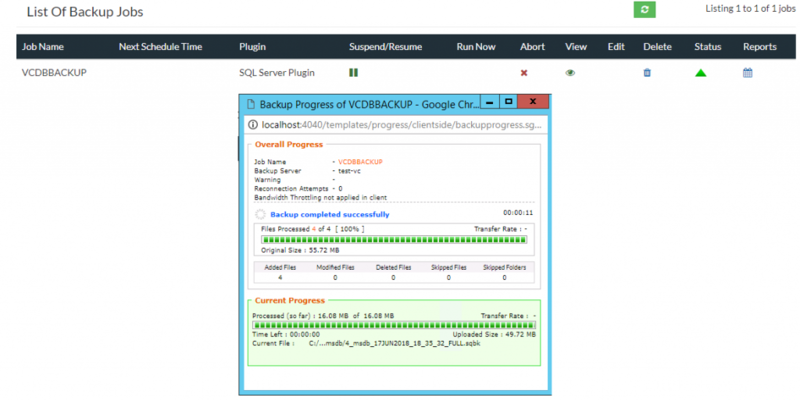 You have different options for configure backup , this console will show all database and option available for backup . 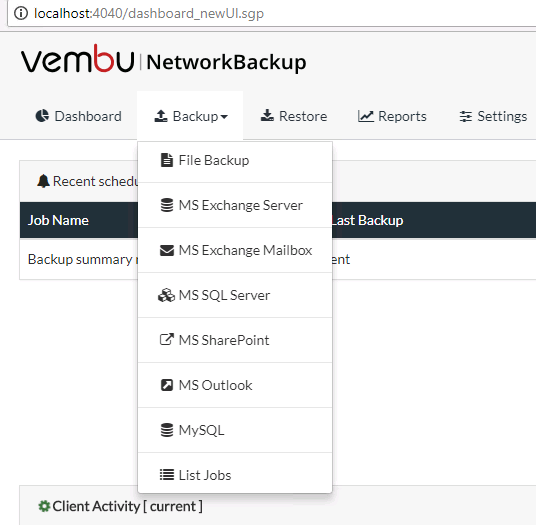 You Can view the backup Progress by navigating to Backup – > List of Backup Jobs and Selecting Arrow From status option on the Windows . 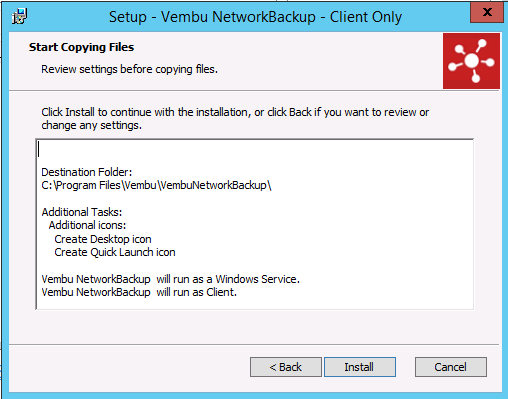 Note : – After configuring the backup and ran the backup same time this window will open after the configuration completion step. 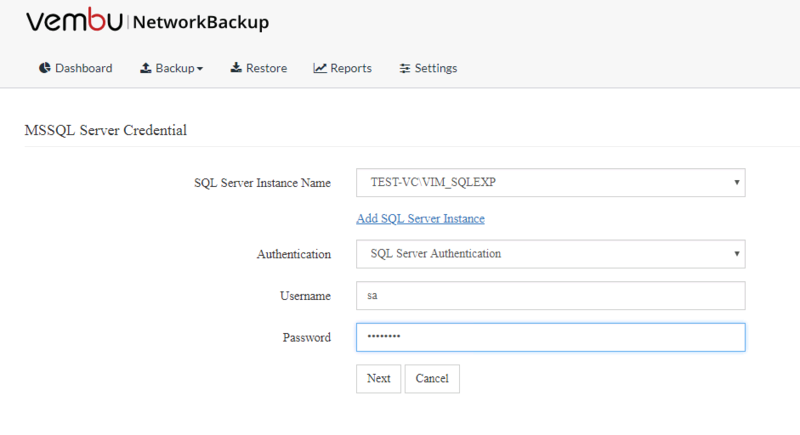 This option will let you to restore data into SQL Server database, where you will have the option to either overwrite an existing database or restore as separate database. 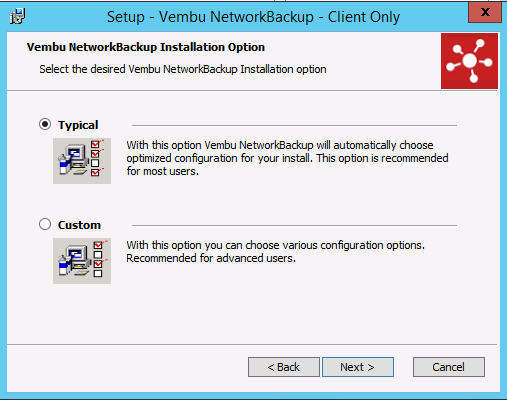 This option will restore data in a separate custom location instead restoring data into SQL Server. 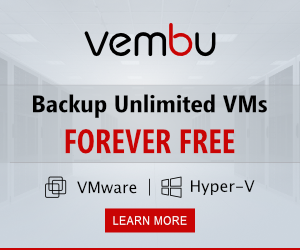 Leave database in ready-to-use state by rolling back uncommitted transactions.Additional transaction logs cannot be restored (Restore with recovery). 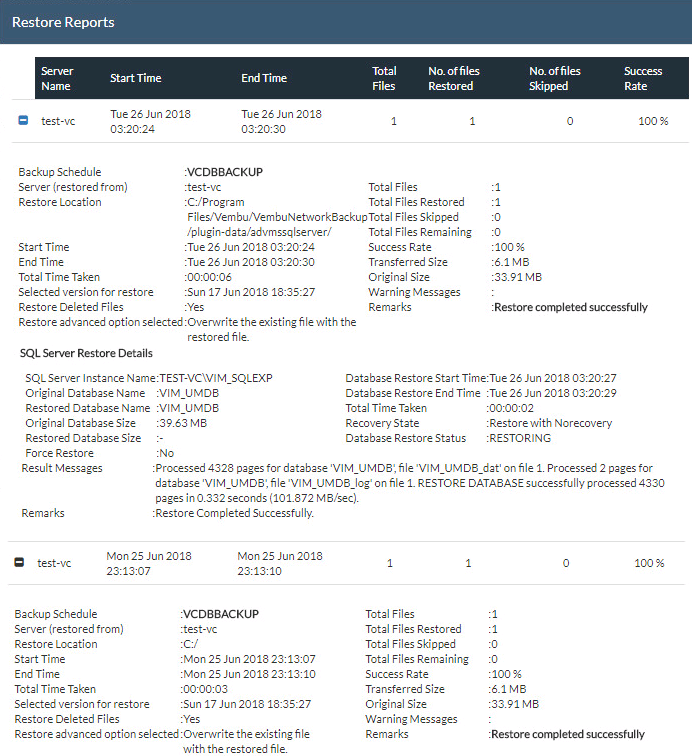 Leave database non-operational, and do not rollback uncommitted transactions.Additional transaction logs can be restored (Restore with Non-Recovery).  Leave database in read-only mode. 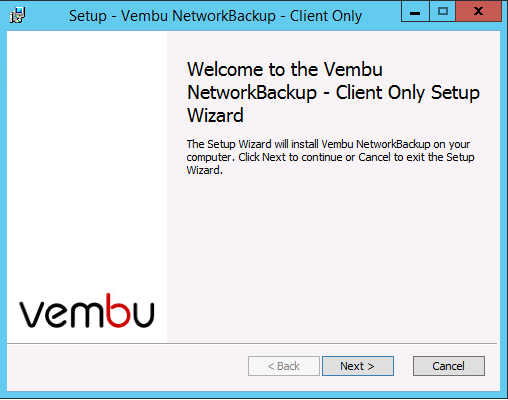 Undo uncommitted transactions, but save undo action in a standby file so that recovery effects can be reversed (Restore with Standby). 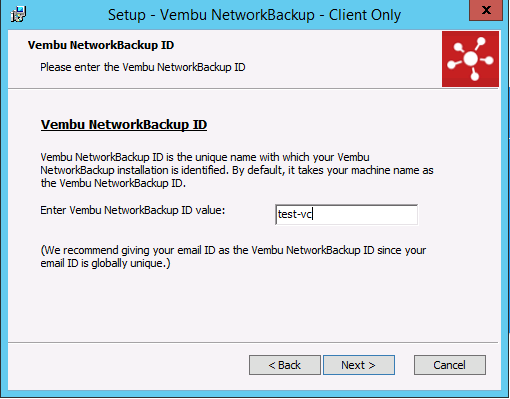 Note:- Password protected- If backup is password protected, enter the correct password to proceed with restore. 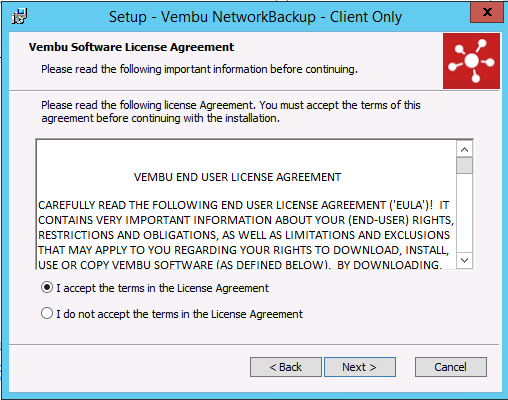 You can review the restore progress and verify restore completed .